This lightweight and flowy scarf is a wonderful accessory for your Saint Patty’s Day outfit. 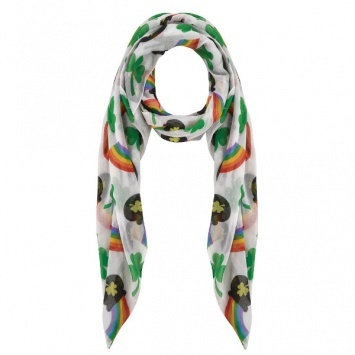 It features brightly colored rainbows, shamrocks and pots of gold! Measures approx. 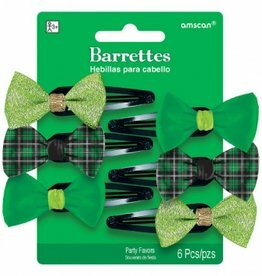 60" x 3 3/4"
Add some green to your style for St. Patrick’s Day or any time of year with these bowtie shaped barrettes. 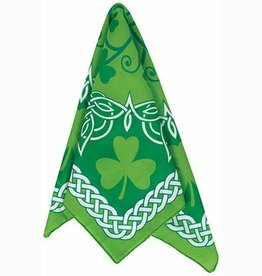 This festive green bandana is perfect for your Saint Patrick’s Day needs. 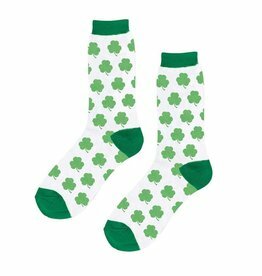 It features shamrock and Celtic knot details. 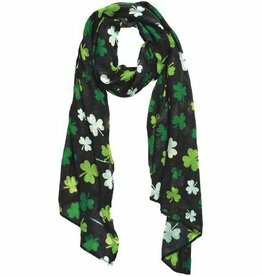 This beautiful black and green shamrock scarf is light and airy. 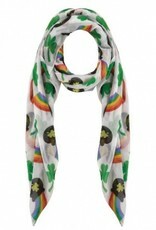 Dress up your Saint Patrick’s Day look with this scarf. 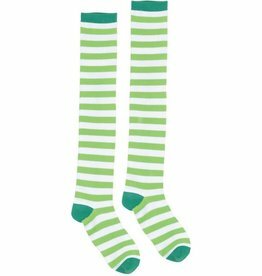 Measures 60" x 3 3/4"
These adult sized footless tights can help you prepare for any Irish or Saint Patrick festivities. 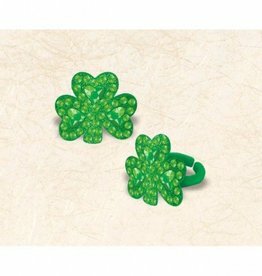 Get your shamrock on with this pair of black leggings, covered in metallic shamrocks! 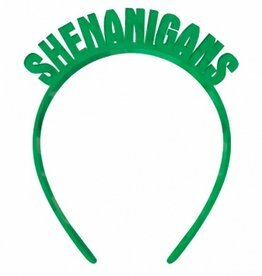 Let everyone know what you’re getting into this St. Patrick’s Day when you wear this novelty “SHENANIGANS” headband.